Durango Silver Co has made several Silver Jewelry, Turquoise and Turquoise Jewelry Videos for your pleasure and education. These Silver Jewelry Videos are fun for us to make and another way for us to show our products to you. We try to make our silver jewelry videos educational and fun. 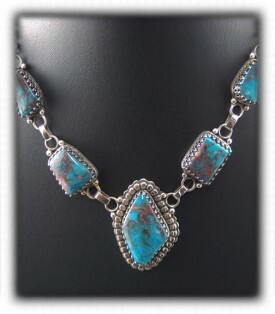 Our specialties are Silver Jewelry and high grade natural Turquoise in high quality Southwestern Style Turquoise Jewelry. We realize buying online can be difficult as you cannot actually touch and feel the items you are interested in. By providing you with excellent photos, at multiple angles and videos of our Turquoise and Turquoise Jewelry, we hope we can make your shopping experience at Durango Silver Co fun, interesting and informative. We hope you enjoy our silver jewelry videos and come back to see others as we put new videos up weekly. Durango Silver Company has a good time making videos to share our knowledge with our customers as well as people who are interested in our products and what we do. We produce videos on Silver Jewelry, Turquoise Jewelry, Turquoise and How to make Silver Jewelry as well as how to cut the gemstones we use in our Jewelry. We usually make a new video once a week, so, come back often or join our newsletter group to see the new videos as they become available. We make many different Turquoise Jewelry Videos on a continuos basis, most of our Turquoise Jewelry videos are educational information about Turquoise Jewelry, silver jewelry videos, and related topics. 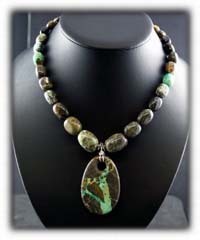 We try to address the questions we are asked daily about Turquoise Jewelry as well as the Turquoise Jewelry we produce. These videos are fairly short and to the point, we think you will enjoy them and they will not take to much of your time. Dillon Hartman shows and tells about the basics of Turquoise Jewelry. Dillon shows you many different types of Turquoise Jewelry such as Turquoise Rings, Turquoise Bracelets, Turquoise Pendants, Turquoise Earrings and more. He goes over the differences in quality craftsmanship, the colors of Turquoise and much more. View our Turquoise Jewelry Video here! Dillon Hartman's Turquoise Beads Video is an informative video on Turquoise Beads, Dillon shows you many different types of Turquoise Beads from Chunky Nugget Turquoise Beads to the many different types of round, rondell, barrel and other shapes of cut Turquoise Beads. He shows you the different colors of Turquoise Beads and touches of the different types of Turquoise used in the Beads as well. View our Turquoise Beads Video here! Our Turquoise Pendants Video by Dillon Hartman has great information on Turquoise Pendants and shows you the many different variations of Turquoise Pendants that are available from Durango Silver Company or in the marketplace. Dillon goes over the different styles of Silver work and the different types of Turquoise used to make the Turquoise pendants as well. View our Turquoise Pendants Video here! You can also see examples of our silver pendants here! Our Turquoise Earrings Video is about the different styles and types of Turquoise Earrings produced or handled by Durango Silver Company. We have Navajo Turquoise Earrings, Zuni Turquoise Earrings and Contemporary Turquoise Earrings produced by our company. We also touch on the different Turquoise variations in this Turquoise Earrings Video as well. View our Turquoise Earrings Video here! 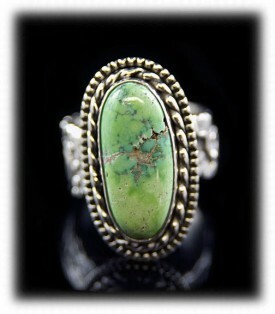 Our Turquoise Rings Video is about all types of Turquoise Rings produced or handled by Durango Silver Company. We specialize in high quality Turquoise Gemstones so Dillon talks about the different types of Turquoise from Blue Turquoise Rings to Green Turquoise Rings, Bisbee Turquoise Rings and so on. He goes over the different styles of Turquoise Rings and what makes our Jewelry different and unusual from others. View our Turquoise Rings Video here! Durango Silver Company sell a lot of Mens Turquoise Rings and for this reason we have made a Mens Turquoise Rings Video to address the many questions we receive on them most every day. Dillon goes over the different types of Mens Turquoise Rings produced by our company and what makes them different then Mens Turquoise Rings produced by other sources. Visit our Mens Turquoise Rings Video here! Durango Silver Company has one of the largest Bisbee Turquoise collections in the world and for this reason we have made this Bisbee Turquoise Jewelry Video. We also produce a lot of Bisbee Turquoise Jewelry and Dillon goes over the different styles and types of Bisbee Turquoise Jewelry we produce and handle. 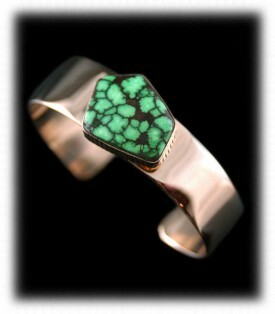 Bisbee Turquoise Jewelry is scarce, a great investment and in high demand by Turquoise collectors worldwide. 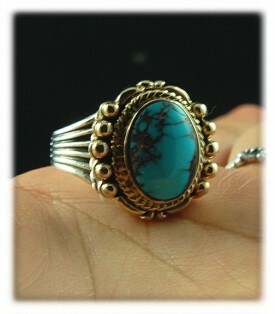 View our Bisbee Turquoise Jewelry Video here! This is a Video About Turquoise Necklaces in which Dillon Hartman discusses the different types of Turquoise Necklace as of present and the past. Dillon shows examples of all different types of Turquoise Necklaces and goes briefly into the history and origins of the Turquoise Necklace. View our Turquoise Necklace Video here. This is a Custom Turquoise Knives Video on Knives with authentic Turquoise handles and handcrafted steel blades by Dave Kopec. Dave's Custom Turquoise Knives are unique and each knife is a one-of-a-kind. If you like unusual Western Americana, you will like Dave's Knives and you will like this Custom Turquoise Knives made by Dave Kopec and Dillon Hartman. View our Custom Turquoise Knives Video here. This is a Video About Turquoise Bracelets in which Dillon Hartman discusses the different types of Turquoise Bracelets of present and the past. Dillon shows examples of all different types of Turquoise Bracelets and goes briefly into the history and origins of the Turquoise Bracelet. View our Turquoise Bracelet Video here. This is a Turquoise Belt Buckle Video which will help you learn about different styles of Belt Buckles with Turquoise. John Hartman sheds light on these diffence and things he has learned over the years about Turquoise and about belt buckles. View our Turquoise Belt Buckles Video here. This is a Video About Turquoise in Gold Jewelry in which Dillon Hartman discusses the different types of Turquoise and Gold Jewelry of the present and past. Dillon shows examples of all different types of Turquoise in gold and goes briefly into the history and origins of Turquoise in Gold. You will be able to see how the different colors of Turquoise look in yellow gold. View our Turquoise in Gold Video here. This is a Turquoise Pins Video which will help you learn about different styles of Pins or Broaches with Turquoise. John Hartman sheds light on these diffence and things he has learned over the years about Turquoise and about Pins and Broaches. View our Turquoise Pins or Broaches Video here. We invite you to view our Carico Lake Turquoise Jewelry Video by John Hartman of Durango Silver Company. In this video John shows you many different pieces of Carico Lake Turquoise Jewelry and goes into depth describing each piece and gives you the value on each piece as well. If you are a Carico Lake Turquoise Jewelry or quality Turquoise Jewelry enthusiest, you will like this video. Dillon and John Hartman worked with the Otteson's, owners of the Royston Mine, and the Travel Channel Crew in making our first Video on mining Royston Turquoise which ran on the Travel Channel for several months in 2008. The original video was great and here are some good clips from the original Royston Turquoise Mining Video. View our Royston Turquoise Mining Video here! This Turquoise Mining video was made from our mining clips at the Haley's Comet Turquoise Mine in central Nevada. It was a long haul to the Haley's Comet Turquoise Mine but we brought out a lot of great material from that trip. Haley's Comet Turquoise is very unusual as it is a beautiful blue-green color with flecks of agate encapsulated in the Turquoise. View our Haley's Comet Turquoise Video here! This Turquoise Video is of a day out mining at the Tortoise Turquoise Mine, we found some great lime Turquoise that day. Tortoise Turquoise has a beautiful color range from White Turquoise, Brown Turquoise, Green Turquoise and Blue Turquoise. This Turquoise Video shows you the rugged terrain of the Nevada mining country and what it is like to mine Turquoise. View our Tortoise Turquoise Mining Video here! This Bisbee Turquoise Video has a lot of good information on Bisbee Turquoise with good video clips showing the different color ranges and characteristics of Bisbee Turquoise. Dillon shows you many different cabochons as well as rough material. Bisbee Turquoise is rare and valuable, this video can help you distinguish if you have Bisbee Turquoise or not. View our Bisbee Turquoise Video here! This is a additional informational Bisbee Turquoise Video that gives you more information and video footage on Bisbee Turquoise. Dillon sits behind a heaping pile of rough Bisbee Turquoise and points out its characteristics. Bisbee Turquoise is known as the best Turquoise that has ever came out of the ground in the United States, you can clearly see why in this video. View our Bisbee Turquoise Video 2 here! This is an informational Bisbee Turquoise Video that gives you more information and video footage on Bisbee Turquoise. 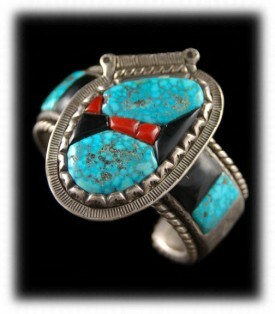 This Video is intended to teach you the famous looks of Bisbee Turquoise that collectors look for. Dillon Hartman goes through rough Bisbee Turquoise and Bisbee Turquoise cabochons to show the different looks that make Bisbee Turquoise famous. Bisbee Turquoise is known as the best Turquoise that has ever came out of the ground in the United States, you can clearly see why in this video. View our Bisbee Turquoise Video 3 here! Dillon Hartman talks about Brown Turquoise in this video. Brown Turquoise is unusual and colorful as it has the same matrix characteristics as the blue or green Turquoise in the mine. Brown Turquoise is unusually found in the outer laying areas or the crust of the Turquoise deposit. Brown Turquoise can be very beautiful, Dillon goes over many different variations of Brown Turquoise in his video. John Hartman shows and tells about the basics of Vintage Turquoise Jewelry. John shows you many different types of Vintage Turquoise Jewelry such as Turquoise Rings, Turquoise Bracelets, Turquoise Pendants, Turquoise Earrings and more. He goes over the differences in quality craftsmanship, the colors of Turquoise and much more. View our Vintage Turquoise Jewelry Video here! Dillon Hartman talks about White Turquoise in this video. White Turquoise is unusual and colorful as it has the same matrix characteristics as the blue or green Turquoise in the mine. 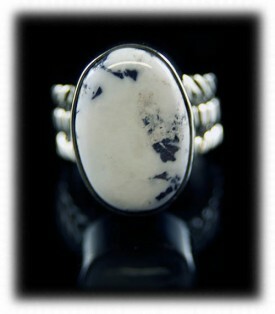 White Turquoise can be very beautiful, Dillon goes over many different variations of White Turquoise in his video. You will learn the different types of stones that are sold as White Turquoise as well as what is actually White Turquoise in this silver jewelry video. Our family has been highly involved in the production of Turquoise, Turquoise Jewelry and Silver Jewelry for nearly forty years. Many people ask us if we would show them how to make Jewelry, cut stones and how to do many of the things that we do. In the past we have not had the time to do this, now with the ability to make videos, we can make one video and many people can benefit from our efforts in making silver jewelry videos. We intend to make many how to make Silver Jewelry videos and Turquoise Jewelry videos soon. We invite you to come back often or join our newsletter group to be first to know about our Jewelry making videos as then become available. This How to cut Turquoise Video is an extensive instruction course on how to cut Turquoise from the rough material all the way to a Turquoise Cabochon ready to set into a piece of Jewelry. John Hartman shows you the supplies and tools needed as well as how to saw, grind polish the Turquoise stones. This is a three part video so you can watch it in segments. View our How to cut Turquoise Video here! View our How to cut Turquoise Video 2 here! View our How to cut Turquoise Video 3 here! This How to cut your own Turquoise cabochon video is an extensive instruction course on how to cut Turquoise from the rough material all the way to a Turquoise Cabochon ready to set into a piece of Jewelry. John Hartman shows you the supplies and tools needed as well as how to saw, grind polish the Turquoise stones. This is a three part video so you can watch it in segments. Durango Silver Company uses many different type of gemstones in the Silver Jewelry that we produce or handle. As we have influxes of interest in certain gemstones, we will make Gemstone Videos to show people the gemstones and the different properties they have. Durango Silver Company uses a lot of Sugilite in our Silver Jewelry as we were fortunate in buying a large Sugilite collection several years ago. This Sugilite Video, by Dillon Hartman, shows you the different aspects of rough Sugilite and what makes it so beautiful. Dillon also shows you different examples of Sugilite Jewelry and how we use Sugilite as accent stones in our Silver Jewelry. View our Sugilite Video here! We hope you have gained some useful knowledge from our Video Presentations. We invite you to learn more about Silver Jewelry, Indian Jewelry and Turquoise Jewelry by following the links in our Learning Center which has many other informational pages that we have written on topics related to Southwestern Silver Jewelry. In addition, we would like to invite you to join our E-Mail Newsletter - about once every other month we send out a Newsletter to inform our members of what's happening with Durango Silver Company, new products, specials for our members and more. We also have a monthly drawing from our members to Giveaway free Turquoise Jewelry from our company. Please take a moment to become one of our friends and future winners in our giveaway by signing in below. Please come see us in our Silver Gallery in Durango, Colorado USA. Thank you for reading about silver jewelry videos.